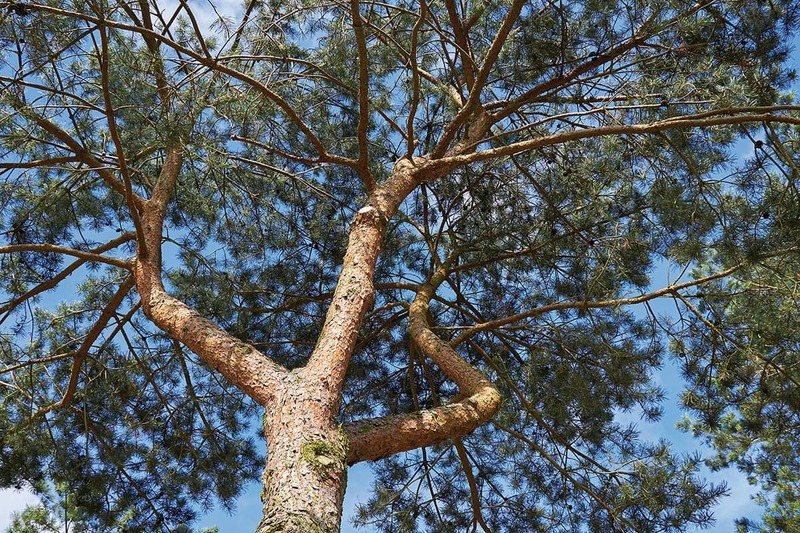 Most softwood species are easy to shape. 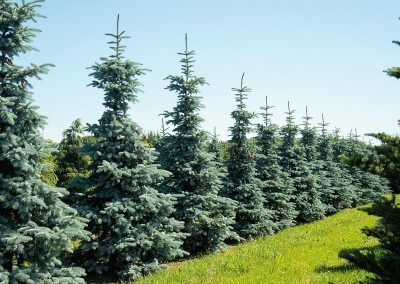 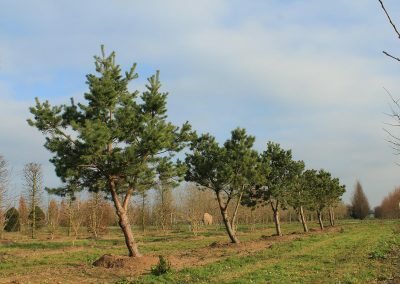 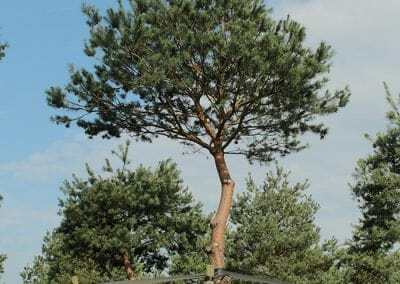 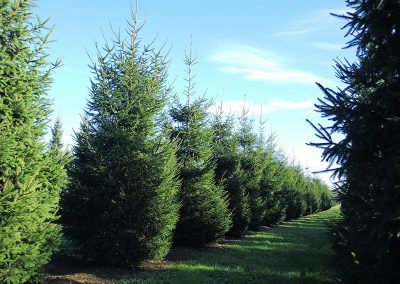 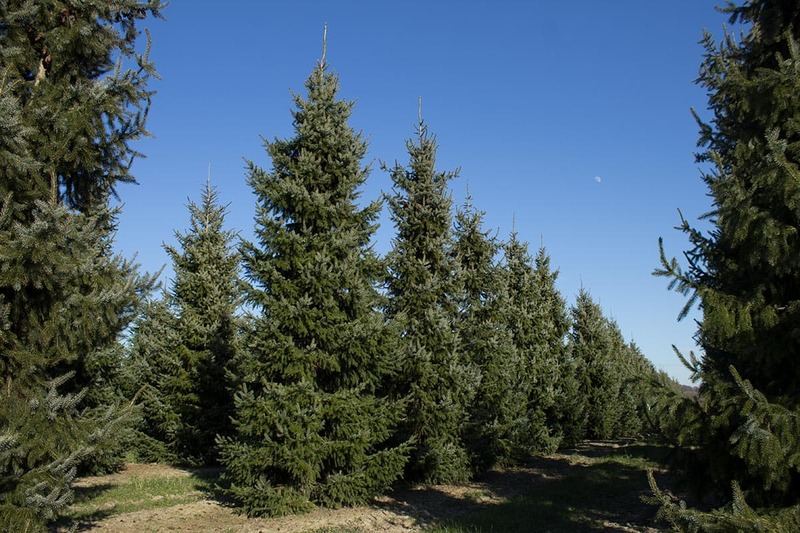 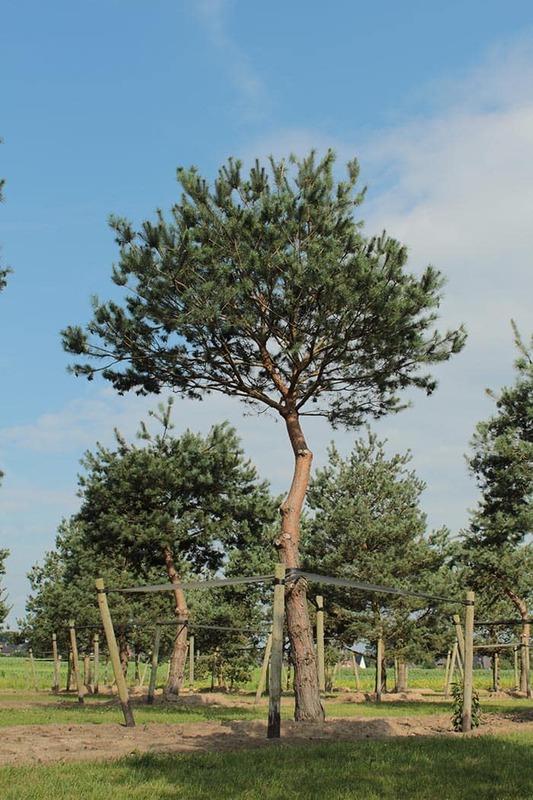 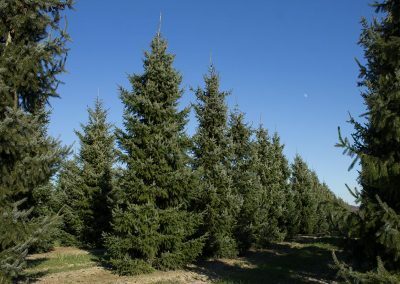 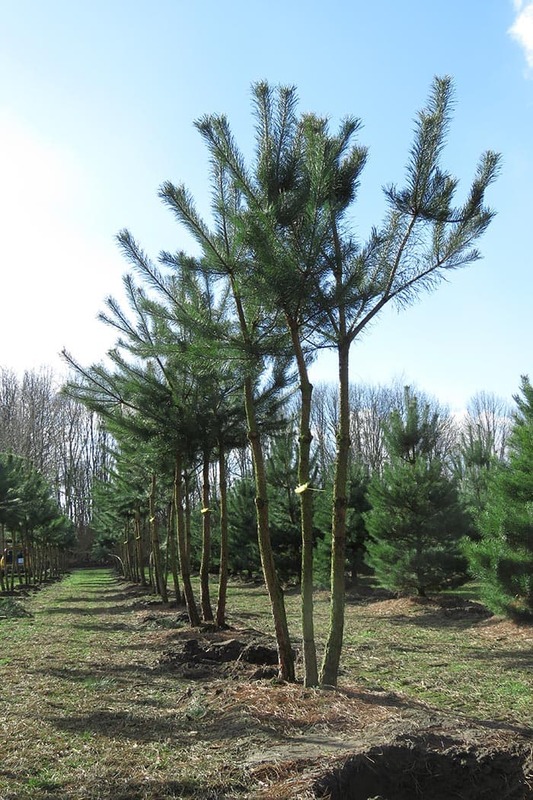 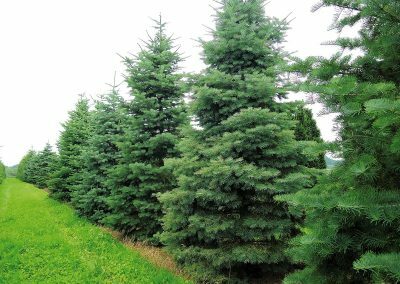 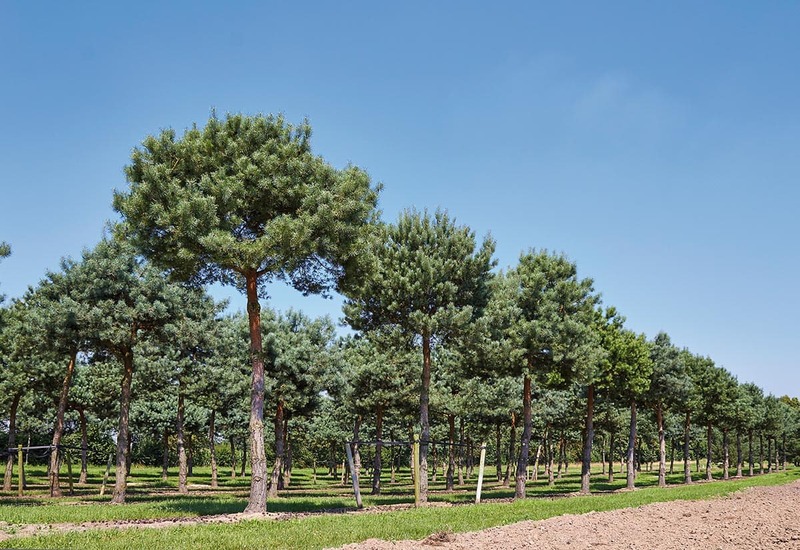 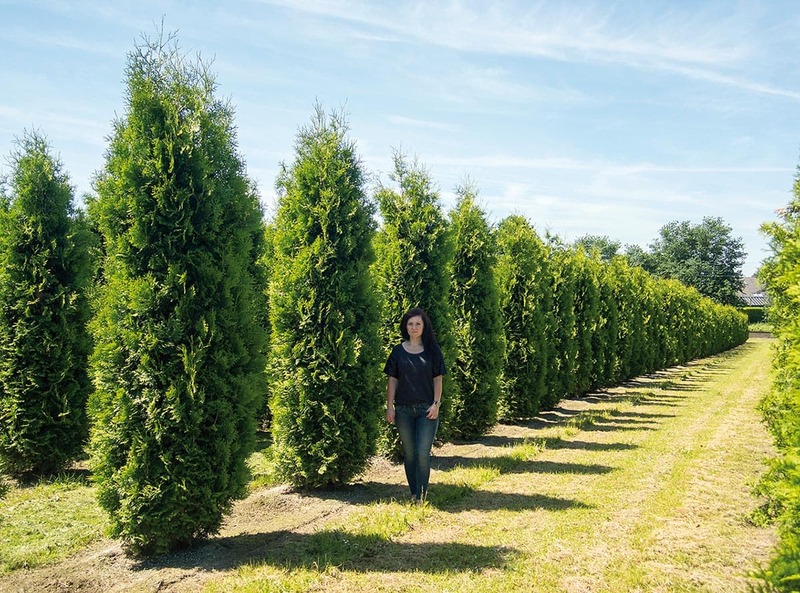 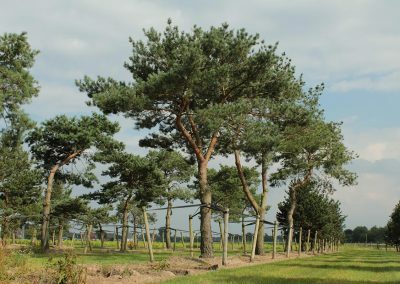 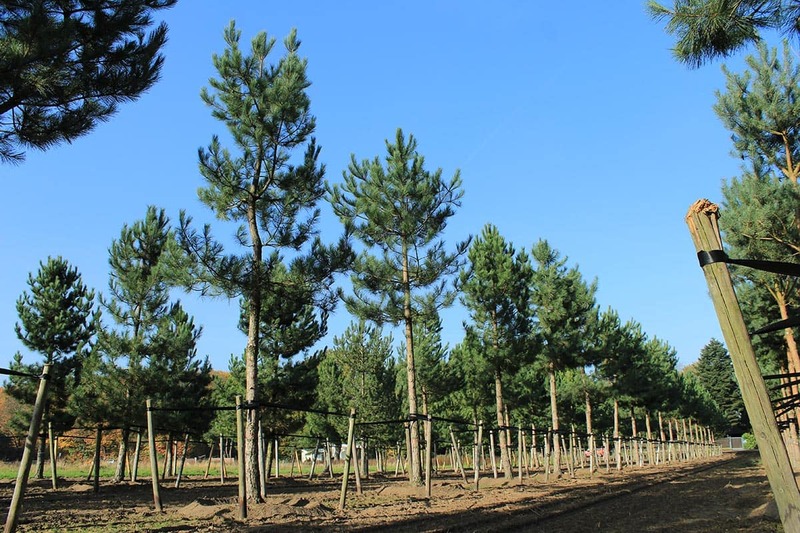 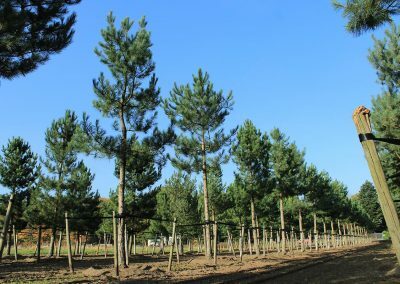 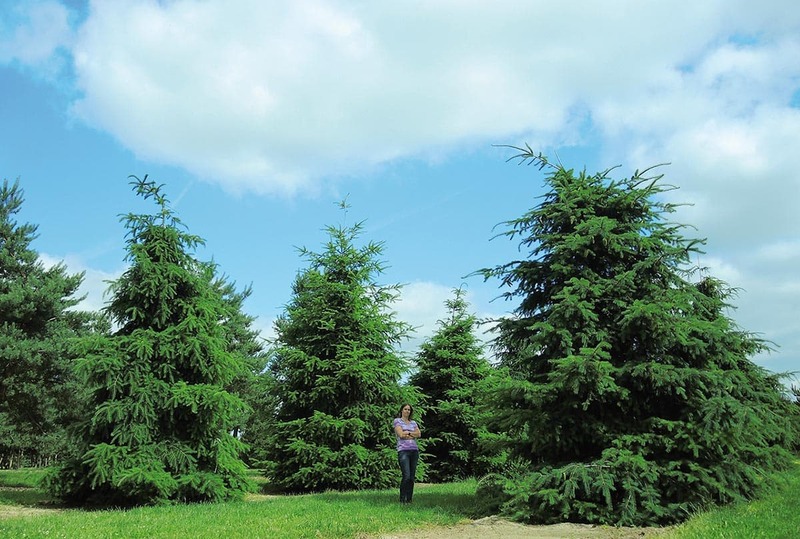 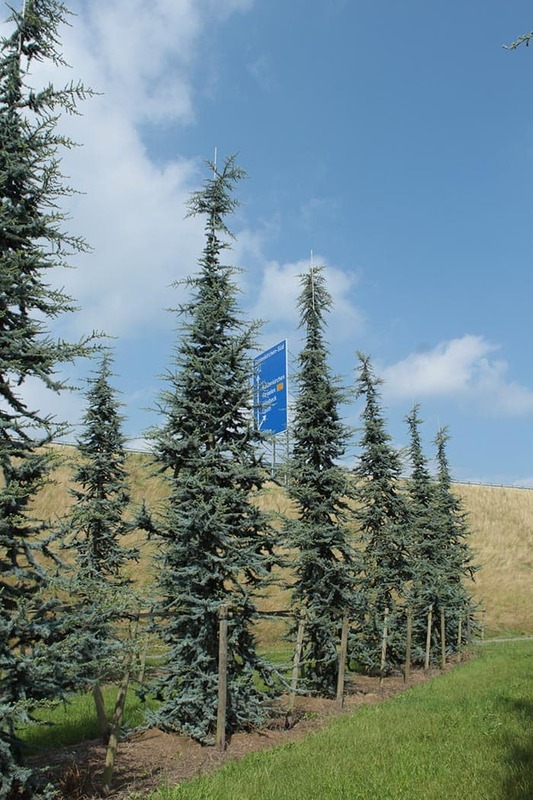 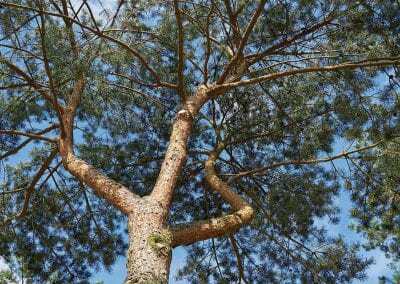 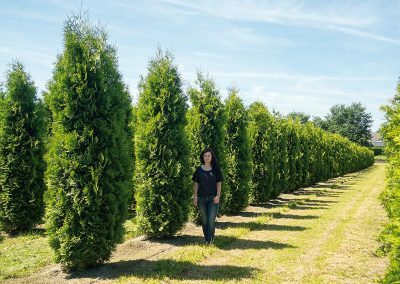 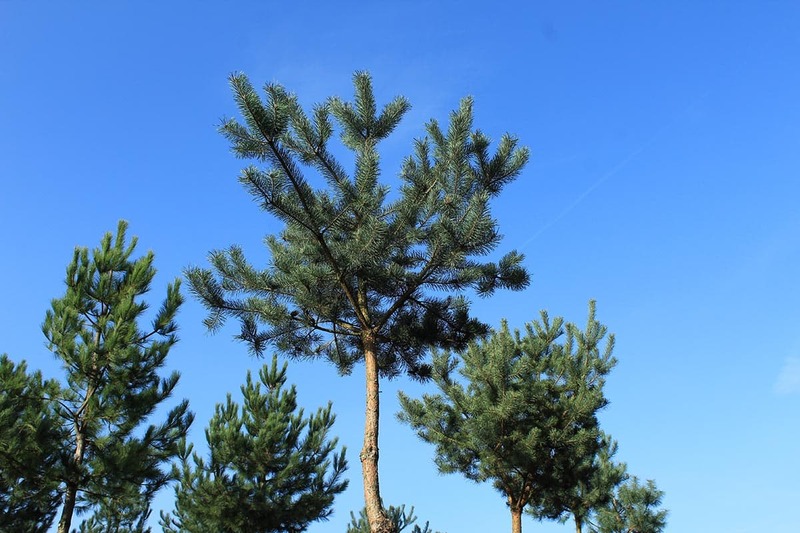 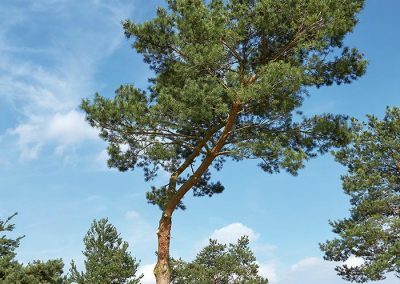 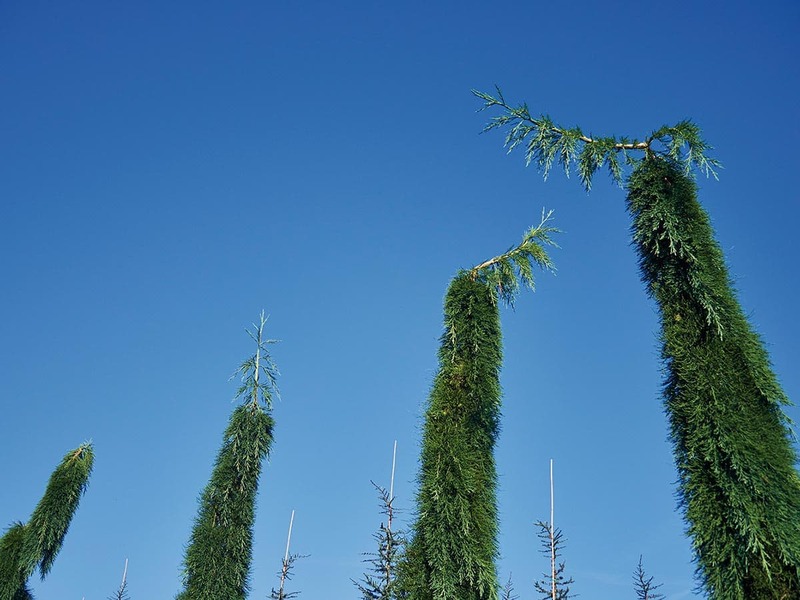 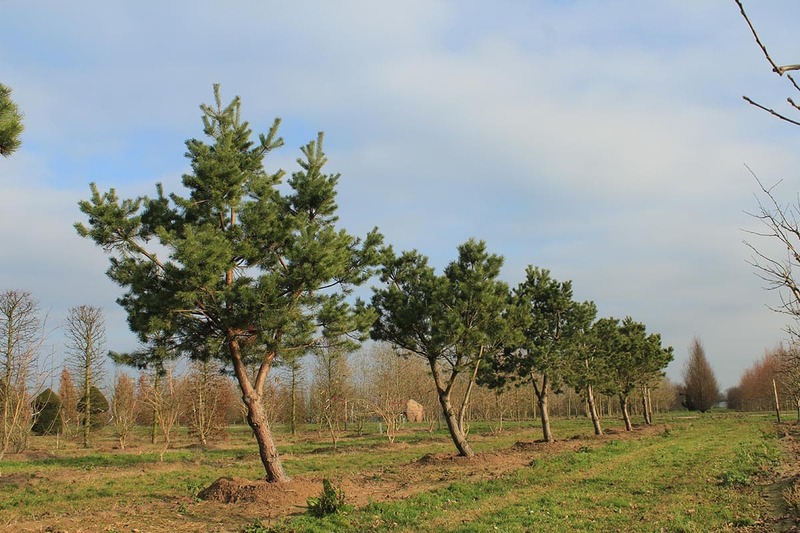 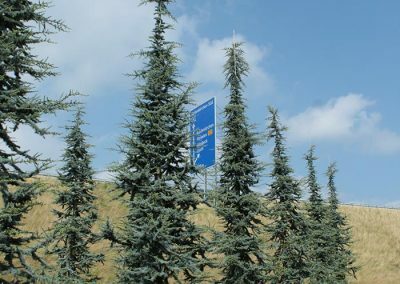 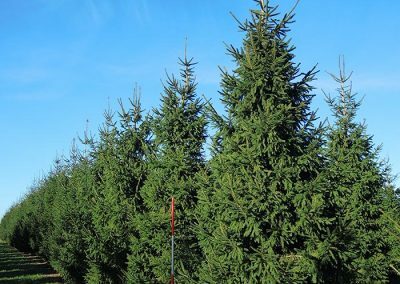 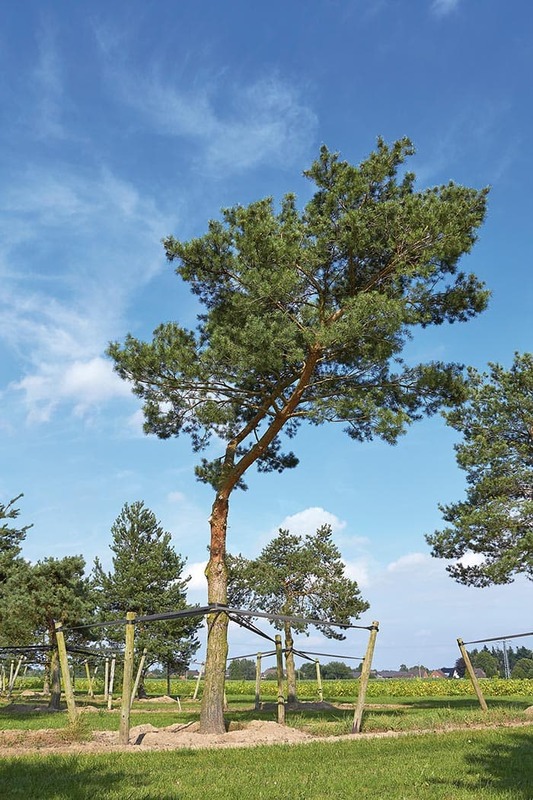 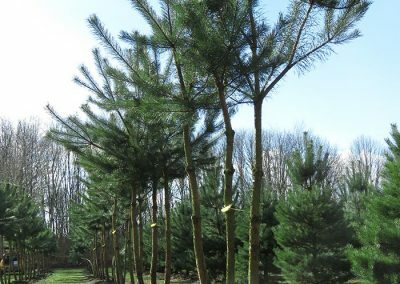 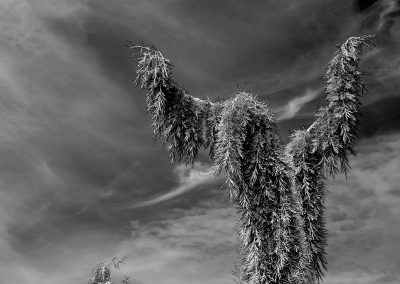 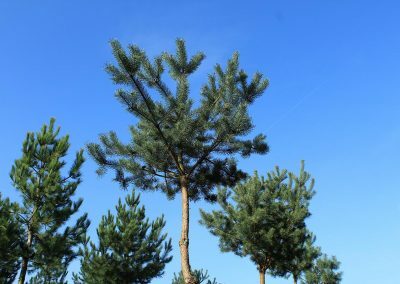 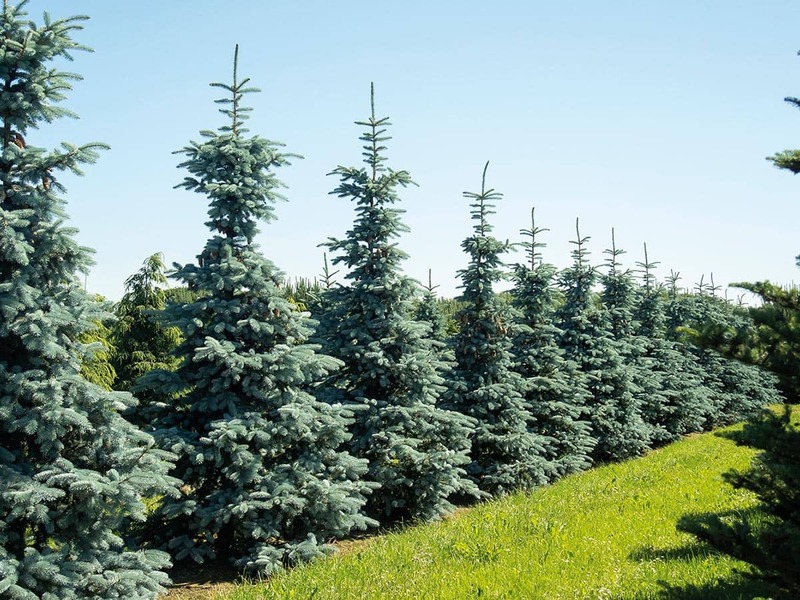 Not only dwarf varieties and smaller plants, but also some taller trees such as Picea (spruce), Larix (larch), Thuja (tree of life), Pinus (Scots Pine) and many others can be formed into a variety of shapes. 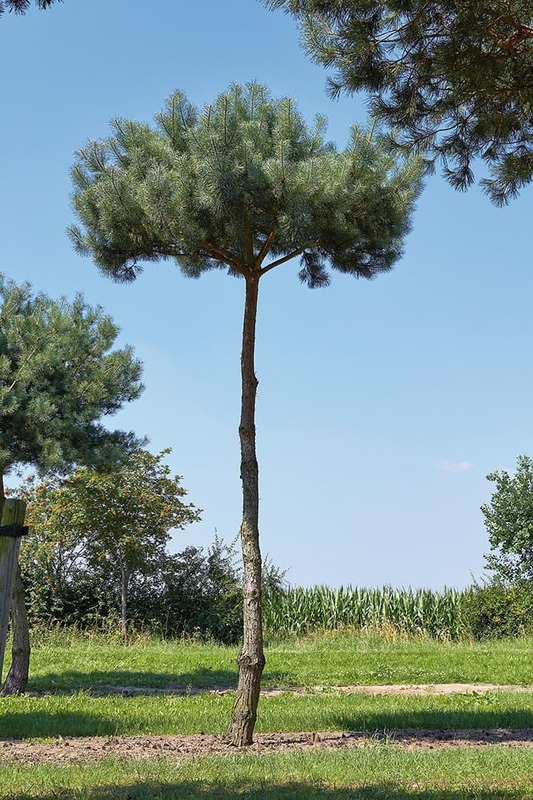 Lappen does not only rely on classic forms such as spheres, columns or cones. 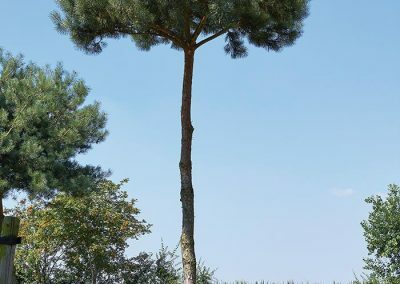 With the ‘Windbraut’, the ‘Canyon Typ’ ‘or the’ Gipfelstürmer ‘Lappen delivers unique pieces of a special kind. 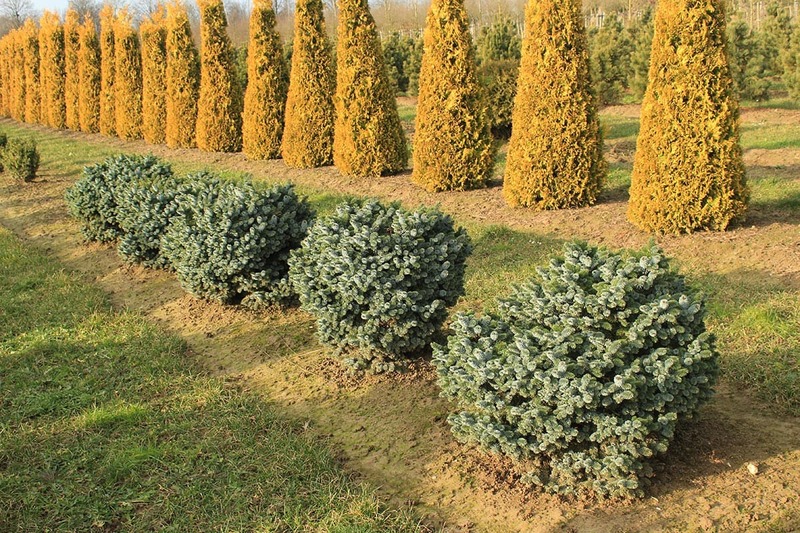 In addition to the suitability as a hedge plants coniferous plants offer a variety of other uses. Therefore they are impressively used as a single plant in parks or gardens. 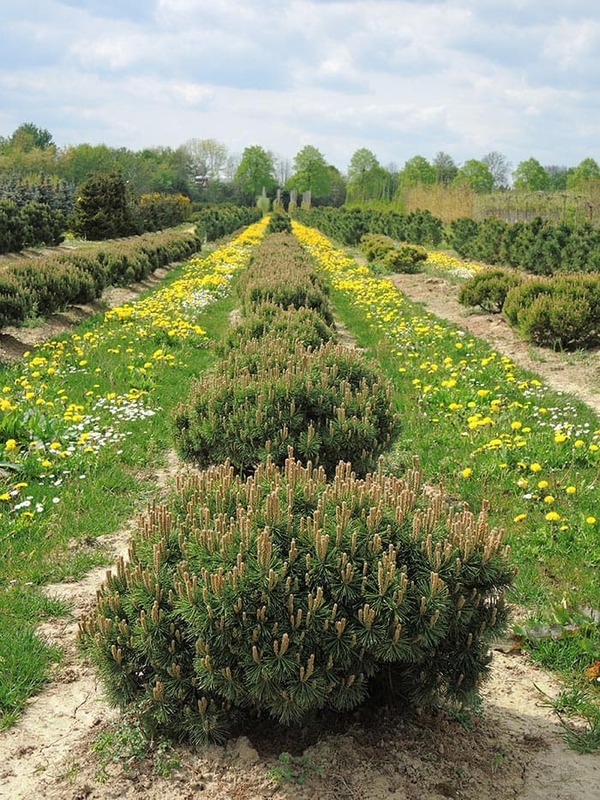 They decorate Japanese gardens as a cushion shape and are suitable for an attractive planting of narrow spaces. 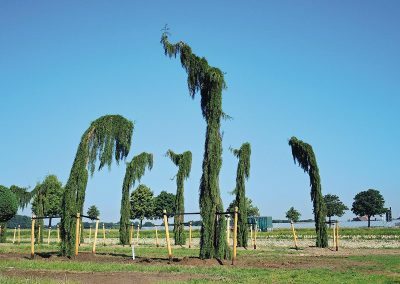 The in-house selection Ginkgo biloba ‘Dila’ (Ginkgo tree), whose mother plant stands in front of the nursery’s office, stands out, like the species itself, through its adaptability. 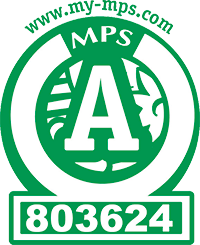 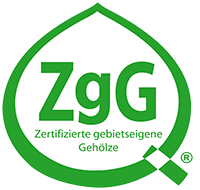 It does not require any special soil requirements and is therefore flexible in use. 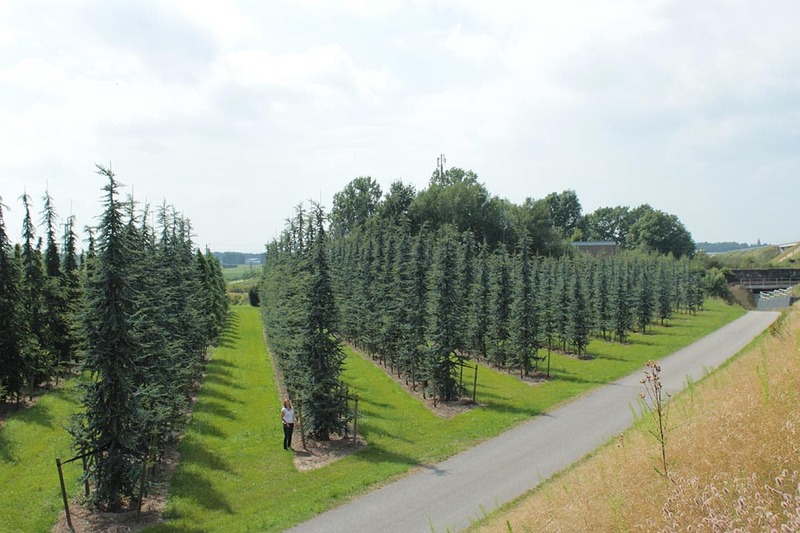 Ginkgo biloba ‘Dila’ (ginkgo tree) grows more horizontal than vertical, loose and broadly spreading. 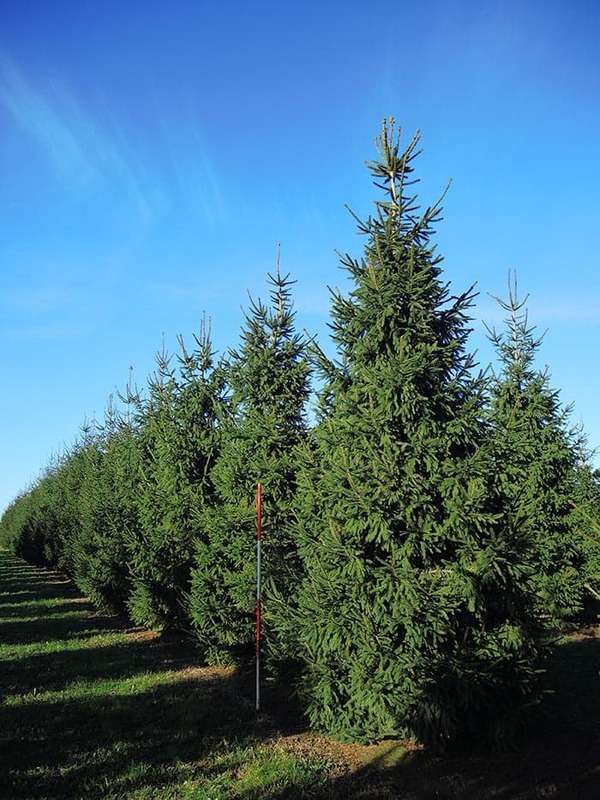 Genera such as Pseudotsuga (Douglas fir) prefer a mild climate and need only a little fresh, deep soil. Due to their average nutritional requirements, they are robust and long-lasting. 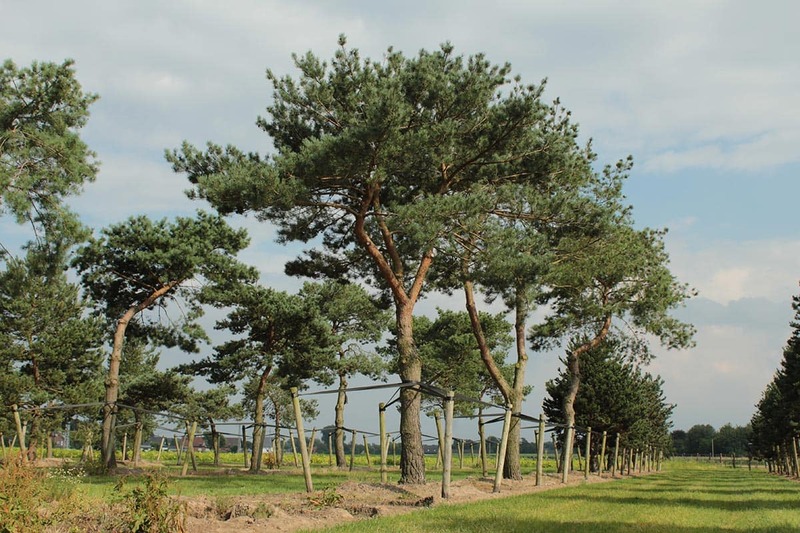 They thrive best on soils that are not too calcareous or rocky, but above all loamy-humus. As an evergreen, shadowy and fast-growing tree, Pseudotsuga (Douglas fir) enjoys a great popularity. 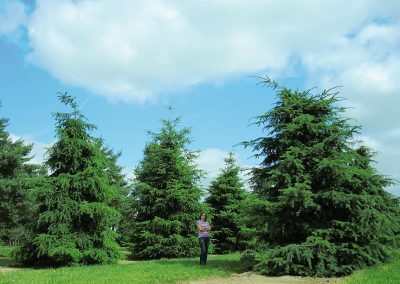 Similarly, the deciduous Metasequoia (Dawn redwood), it reaches stature heights of up to 35m and is considered a living fossil. 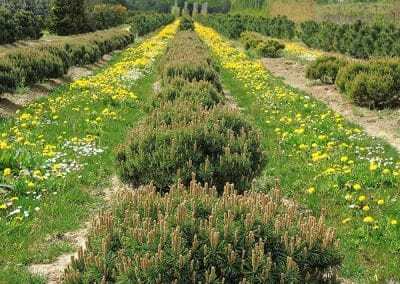 It likes it best on nutrient- and humus-rich clay soil. 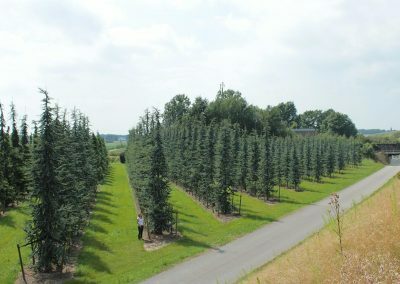 Due to its frost resistance, it defies temperatures of more than -30 degrees C and is therefore used in many places. 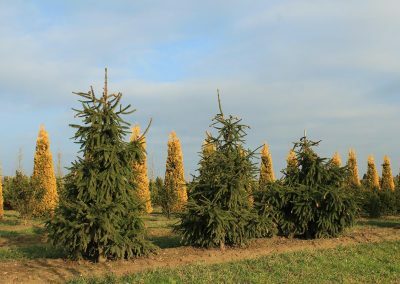 The beauty of the European Larix deciduda (L. europaea) (European larch) during budding is especially eye-catching and the tree is optimally suited as a gracious and less dense hedging plant. The key during planting is to ensure deep soil and proper care in order to be able to use the shaped conifers as a natural privacy screen.